Former National Institutes of Health director Elias Zerhouni created a vivid label for a persistent problem. He noted there was a widening gap between basic and clinical research. 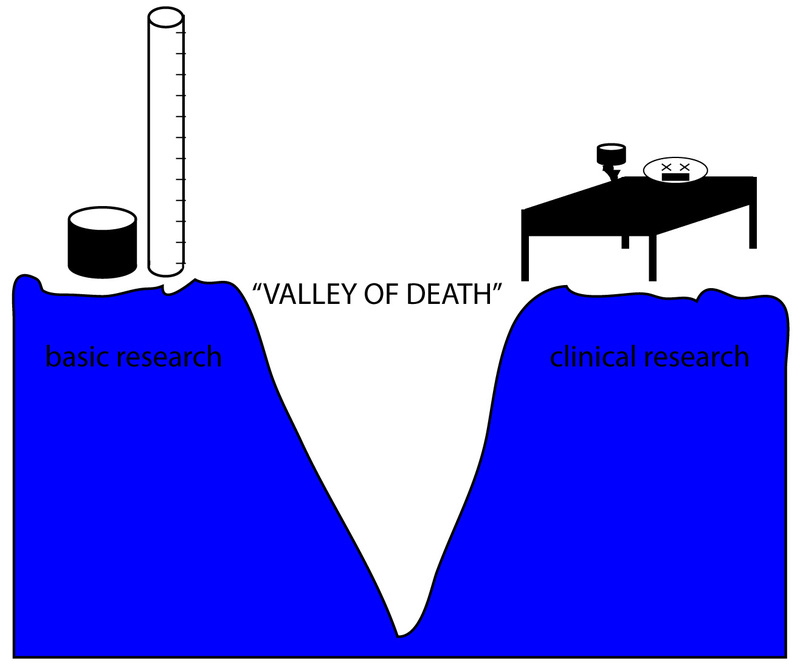 The “valley of death” describes the gap between basic research, where the majority of NIH funding is directed and many insights into fundamental biology are gained, and patients who need these discoveries translated to the bedside and into the community in order to benefit human health. Thus, a chasm has opened up between biomedical researchers and the patients who would benefit from their discoveries. Translational research seeks to move ideas from the laboratory into clinical practice in order to improve human health. A new certificate program in translational research is designed to empower PhD graduate students to bridge that gap. Participants (PhD graduate students) from Emory, Georgia Tech and Morehouse School of Medicine can take courses in epidemiology, biostatistics, bioethics, designing clinical trials and grant writing, and will have rotations with clinicians and clinical interaction network sites where clinical research studies are carried out to get a better sense of the impact and potential benefit of the research they are conducting. The certificate program is being organized by the Atlanta Clinical & Translational Science Institute, established as part of a push from the NIH for more emphasis on translational research. The Howard Hughes Medical Institute (HHMI) is supporting the ACTSI’s certificate program with a four-year, $700,000 grant, alongside 22 similar programs around the country. The goal of the HHMI “Med into Grad” initiative is to encourage graduate schools to integrate medical knowledge and an understanding of clinical practice into their biomedical PhD curricula. Applications are open, and the first students will begin in fall 2010.